A wealthy family. A summer of traditions. Three months of secrets. Can you discover what they’re trying to hide? 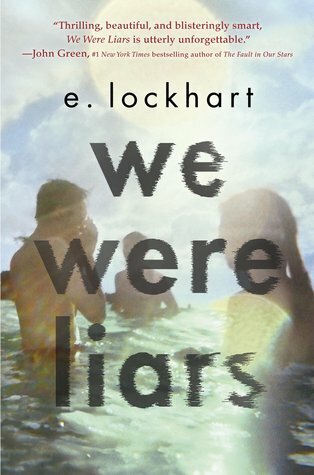 We Were Liars is one of those books were it’s best that the reader doesn’t know much about the book. It’s best to just dive in and don’t come up for air until you’ve finished. This mysterious tale will keep you ripping through the short and sweet chapters, wondering who is behind the current situations that the characters are in. This is an emotional book. Readers will fall into either one of two categories, those that understand and those that don’t. It’s as simple as that. If you understand, then you’ll love this book. If you don’t, well, this book won’t be for you. How can you tell? You can’t, but because it’s so short, it’s seriously worth a read. It’s quick with a punch to the gut. E. Lockhart has outdone herself with this haunting tale of a family and what happened one fateful summer. Are you brave enough to find out?